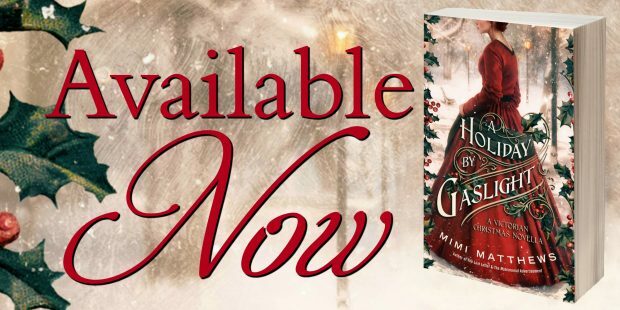 A Holiday By Gaslight Release Day: Blog Tour, Giveaway, & More! 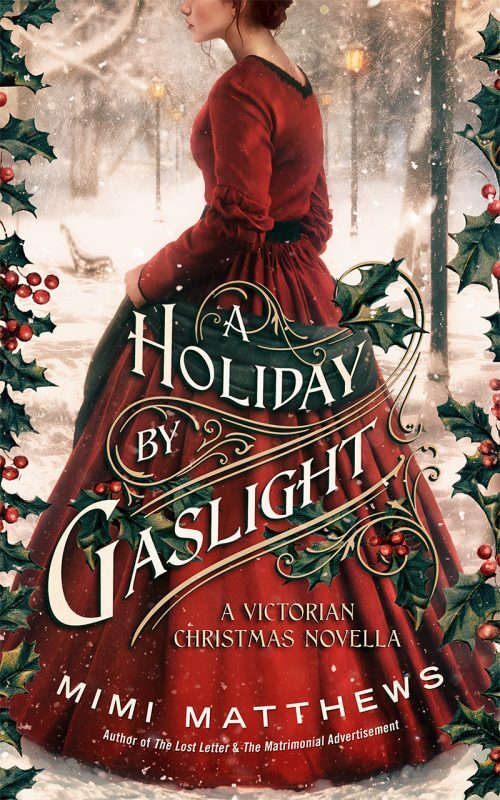 It’s release day for my new Victorian Christmas novella A Holiday By Gaslight! To celebrate, I’m over at the USA Today Happy-Ever-After Blog with an exclusive excerpt. I’m also embarking on a virtual book tour, complete with reviews, excerpts, and a special giveaway. So, without further ado, let’s get started! Note: I’ve received quite a few questions about this book. You can find my answers in the FAQ section below. England, 1861. Sophie Appersett is quite willing to marry outside of her class to ensure the survival of her family. But the darkly handsome Mr. Edward Sharpe is no run of the mill London merchant. He’s grim and silent. A man of little emotion—or perhaps no emotion at all. Can the two of them ever find common ground? 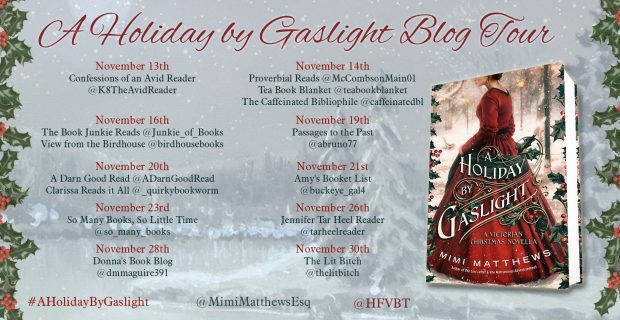 You can enter to win a signed paperback copy of A Holiday By Gaslight at most of the stops; or go directly to the blog tour page HERE. Q: Is this a retelling/reimagining of North and South by Elizabeth Gaskell? A: No. Emphatically no. However, I felt it would have been literary malpractice to write a mid-19th century cross-class romance and not pay some homage to Gaskell’s 1855 novel. I did this mainly through the hero who—like John Thornton—is a stern tradesman with a rather severe mother. I mention this in the author notes at the end of the book. Q: Does this book contain gaslighting? A: Gaslight (noun: light made from illuminating gas) is a central part of this story. Gaslighting (verb: psychological manipulation) is not. Q: Why couldn’t this have been a longer novella? A: A Holiday By Gaslight is just shy of 40,000 words. That’s the maximum length a novella can be and still qualify as a novella. Q: Will there be a sequel? A: I wrote A Holiday By Gaslight as a standalone Victorian romance; however, I am considering expanding it into a trilogy. It all depends on how quickly I can finish my other writing commitments. If you’d like to see some of the visuals that inspired me while I was writing this story (including who I’d cast in each of the roles), you can click through to the A Holiday By Gaslight Pinterest Board. If you’d like to learn more about what kinds of Christmas gifts Victorians bought for each other, check out my Victorian Lady’s Christmas Gift Guide! If you purchase a copy of A Holiday By Gaslight (or any of my books!) this week, please do stop by my Facebook or Twitter page and let me know so that I can thank you personally. And please don’t forget to leave a review at Goodreads and/or Amazon. I truly hope you all enjoy Sophie and Ned’s love story! This is the best Christmas story I have read in years! Thanks to the exquisite writing I felt like I was there. Thank you Mimi Matthews for a delightful Christmas Gift! You’re very welcome :) I’m so glad you enjoyed it! How do I enter your Giveaway for A Holiday by Gaslight? Both your newsletter and your blog say that you can enter at your blog tour but I went to your stops for the 12th and 13th and did not see anything there about a Giveaway. I would dearly love a chance to win your book. Thank you very much!! That worked. Halfway through the book and Love it. Can’t wait to finish it. If only I didn’t have to go to work i could finish it! Excellent. Thanks so much, Laurie :) I’m so glad you’re enjoying it!